GARDENA — “Dancing with the Rising Stars,” a benefit dance, is set for Saturday, June 15, at the Gardena Elks Lodge, 1735 W. 162nd St. (near Western), Gardena. The popular group Kokoro Music with Soul, featuring Lauren Kinkade, Steven Santiago and Jennifer Cella, will headline the dance, which starts at 7:30 p.m. and goes until midnight. Proceeds will benefit the Nikkei Federation Rising Stars Youth Leadership Program, whose mission is “Building Tomorrow’s Leaders Today.” The program provides leadership skills to high school youth and inspires them to cultivate an ongoing involvement with the Japanese American community. Rising Stars presents a series of engaging workshops on a variety of leadership topics presented by Asian American professionals at the top of their fields. Participants gain experience in community service and learn about the Japanese American experience through planned activities throughout Little Tokyo. The members of Kokoro came together to form a band out of the pure love of music – and together, they have found something beyond just performing together; they have shaped their own musical family. 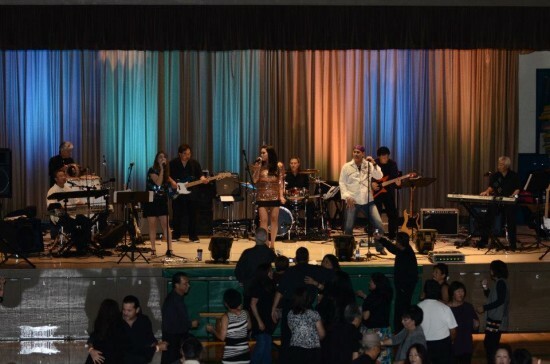 The Asian Americans band covers music from Motown to country, rock and pop; from the hits of the ’60s to current Billboard chart-toppers. Though Kokoro has only been together a short time, individually the members have had the good fortune to work with many celebrities in the industry, including Gladys Knight, Jessica Simpson, Hiroshima, and Gene Simmons, to name a few. Additionally, in their individual careers, they have played high-level venues such as the Palladium, the Sunset Strip, the Flamingo Hilton Las Vegas and the American Music Awards. Individual tickets are $30; reserved tables for 10 are $350. Advance sales only; there are no sales at the door. For more information, contact Wayne Nagao at (310) 374-0690 or [email protected] or Carol Tanita (626) 281-8894 or [email protected]. Make checks payable to Rising Stars and send to Dancing with the Rising Stars, c/o Wayne Nagao, 122 Monterey Blvd., Hermosa Beach, CA 90254. Reservation deadline is June 7. Include contact name and email address, which is required for confirmation. For table reservations, list all guests and email addresses. Donations from those who are not able to attend will be greatly appreciated. Rising Stars is a program of the Nikkei Federation, a 501(c)3 non-profit organization, federal tax ID number 95-4758509. For more information on Rising Stars, visit www.nikkeifederation.org. Kokoro on stage at Orange County Buddhist Church.